Treadwell doesn’t mop floors any longer (at least, not routinely), or roll egg rolls. 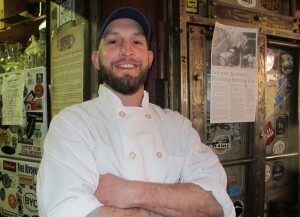 Instead, he oversees the mammoth kitchen at Wynkoop Brewing Company, where he’s been the executive chef since last August. And the path leading up to his position there took him through some of the best restaurants in Denver.